At Top packers and movers in Noida we have a very dedicated team of professionals who are there to provide end to end relocation services in Noida. We offer a comprehensive range of personalized services which can be customized as per the specific requirement of our customers. Each and every relocation is unique but we have a set of pre-defined steps which constitutes a formula to ensure a successful shifting experience without any flaw. You can also avail our relocation and car carrier services in these cities Delhi, along with all the locations of Delhi and NCR region. These days, Packing and Moving Service has become more advanced and people are looking for professionals who may ensure the relocation with complete safety of goods. Thus we have trained all our workers with required tips and tricks to provide them hands on experience to manage the things effectively. Packing and moving not just requires strong physique but also requires skills and experience to do the things quickly and effectively. 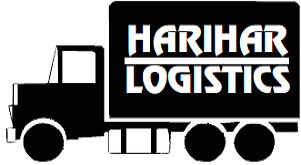 We have a team of professional packers who use good quality of packing material and techniques to ensure the safety of goods while transportation. They provide extra care to fragile items to ensure their safe handling and arrival at the destination. So what are you waiting for? Call us right away to avail our best movers and packers in Noida.